Courtesy of Home Team Of America, Joe Zepeda. Great traditional ranch house in the great East Terrell Hills Subdivision. 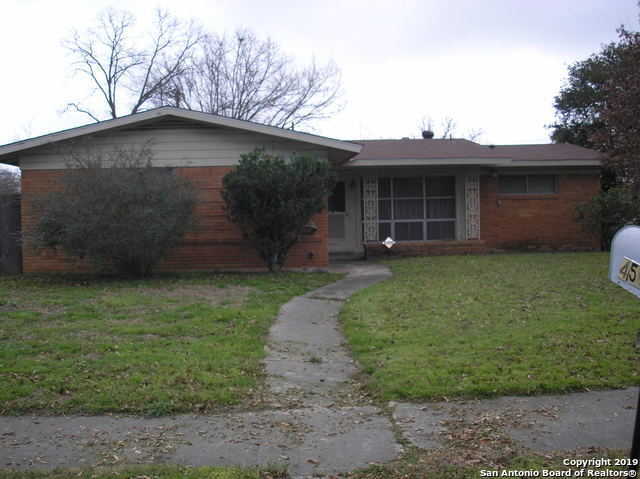 Very affordable in the much desired area of Northeast San Antonio. Close to everything… highways, shopping, schools, Alamo Heights, Terrell Hills, Fort Sam Houston, etc. Mature trees, corner lot, 4 sides brick. 3 bedroom, 2 full bath, with a study/workroom bonus room. Please, send me more information on this property: MLS# 1362087 – $134,000 – 4502 Diamondhead Dr, San Antonio, TX 78218. I would like to schedule a showing appointment for this property: MLS# 1362087 – $134,000 – 4502 Diamondhead Dr, San Antonio, TX 78218.